I’ll be the first to admit that although I love to spend hours in the kitchen developing a recipe, sometimes quick, easy, and efficient is the best way to go, especially on busy weeknights! 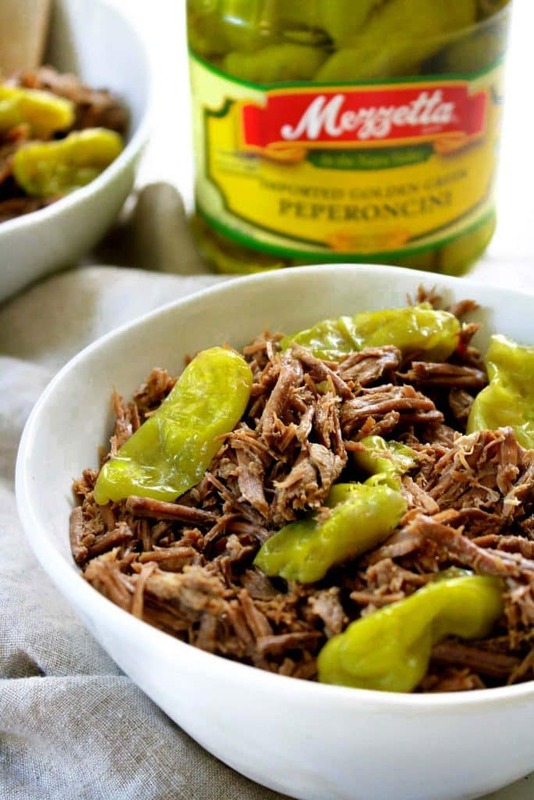 Enter Pressure Cooker Italian Beef made with bright, energizing Mezzetta Peperoncini and all of its delicious glory! Since I learned to cook, my go-to recipe has always been Italian Beef! My Mom made it for us growing up and, when I moved away to college and then to Milwaukee, it was the first recipe I asked my Mom to share with me. It’s a comforting meal that packs so much delicious flavor, yet requires little to no effort to prepare. My kinda recipe. 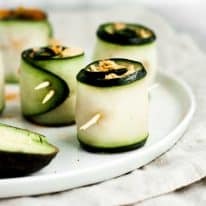 Simple ingredients yet so flavorful, budget-friendly (it was a staple in my college days), and couldn’t be easier to make! Take some grass-fed beef roast, spices, broth, and, the key ingredient, Mezzetta Peperoncini, throw into the pressure cooker, wait a bit, and DONE. That’s it. Doesn’t get much easier than that! Mezzetta Peperoncini take what would otherwise be a plain beef roast and turn this meal into a brightly-flavored, crave-worthy meal that is sure to impress and keep the whole family coming back for more! When I began to follow a low-FODMAP diet for health reasons, my immediate reaction was to think about all of my favorite meals that I’d no longer be able to eat. My Italian Beef had always been made with garlic and onions, two big “no-no” ingredients. So, when the craving for Mezzetta Peperoncini hit, I knew I needed to develop a low-FODMAP alternative to this recipe! Luckily, garlic-infused olive oil exists, is low-FODMAP, and pairs perfectly with Mezzetta Peperoncini! No idea what FODMAP means? “Low-FODMAP” is a way of identifying specific foods that contain high levels of FODMAPs. FODMAP, an acronym that stands for Fermentable Oligosaccharides, Disaccharides, Monosaccharides, and Polyols, are all short-chained carbohydrates that are poorly absorbed by our digestive systems. A low-FODMAP diet is highly recommended by medical professionals for people experiencing gastrointestinal distress. To follow the diet and reduce or altogether eliminate symptoms of IBS and other sensitive gut issues, simply remove high-FODMAP foods from your diet. I wasn’t about to let my love for this meal and for Mezzetta Peperoncini fall by the wayside! 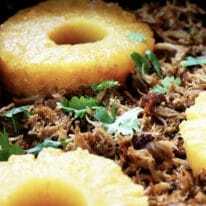 After some tinkering, I developed this recipe, free of FODMAPs, and it tastes just like the original! Even Ryan agrees! He always has the “final call” on recipes as the Official Taste Tester (maybe I’ll make him some business cards…) and he was raving about this recipe for weeks! You all know how much I LOVE my pressure cooker. I use an Instant Pot. This is the best kitchen appliance we’ve ever invested in. I use it every day, sometimes multiple times a day. When I first started making Italian Beef, I would cook it in my slow cooker for 15 hours on low. Now, with my pressure cooker, this Italian Beef recipe is prepped, cooked, and ready to be eaten in less than 3 hours total! 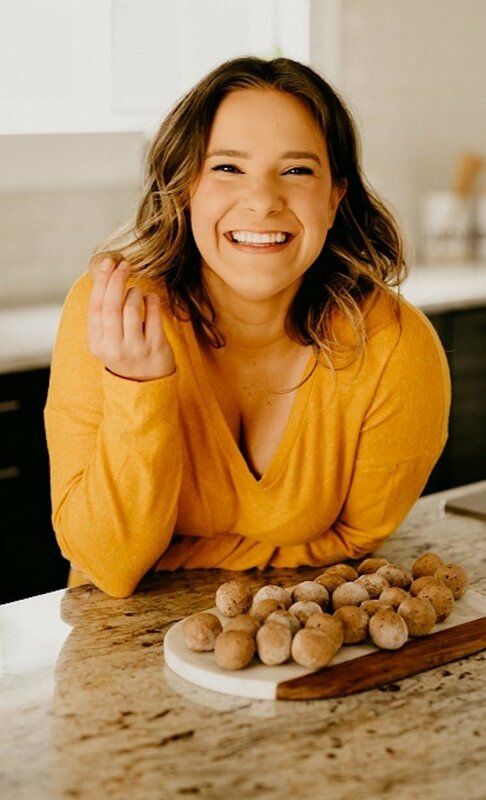 Before you try the recipe, be sure to head over and enter the Mezzetta Brighten Every Bite sweepstakes! Head over to Mezzetta’s page to enter their Brighten Every Bite national sweepstakes for an opportunity to win 52 meal kits for 2 from Chef’d ($1,560 value)! Plus, 10 runners-up will win a $50 Chef’d gift card and all entrants will receive a 10% coupon! You can enter once every 24 hours! This recipe is low-FODMAP, low-carb, keto, nut-free, coconut-free, gluten-free, grain-free, dairy-free, and sugar-free. This Low-FODMAP Pressure Cooker Italian Beef featuring Mezzetta Peperoncini is the best quick and delicious dinner option! This recipe is low-FODMAP, low-carb, keto, gluten-free, grain-free, dairy-free, and sugar-free! Using a sharp serrated knife, chop beef into 1-inch cubes and place in storage bag. Add garlic-infused olive oil and spices to bag and gently rotate the bag to distribute the oil and spices. 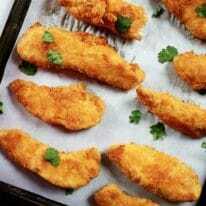 Place storage bag in the refrigerator and allow to marinate for at least 2 hours, preferably overnight. After marination of beef, pour jar of Mezzetta Peperoncini (including juice), beef, and beef broth into pressure cooker insert. Set Instant Pot to “Beef/Stew” and set timer to 120 minutes. After the pressure cooker has completed the cooking process, allow it to naturally depressurize for 20 minutes. After 20 minutes, rotate the lid nozzle to fully depressurize. 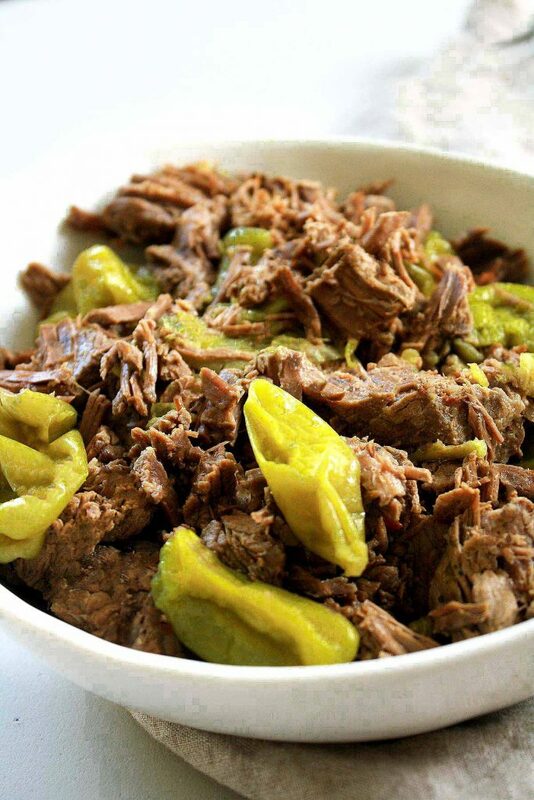 Serve Italian Beef in bowls topped high with Mezzetta Peperoncini and enjoy! Very good! A must try. We are new to low fodmap diet, so we tried this, and were delighted at how good it was. Found that 50 min was sufficient for cooking roast to shreddable state. We will reduce the red pepper to 1/2 tsp in the future, as we aren’t fans of runny noses while eating, and heart burn after as we’re spicy heat wimps! I’m not too sure as I’m not very familiar with working with stovetop pressure cookers. I would suggest searching online for how to convert time between the two. Granted, I have not made it yet (and I certainly plan to, sounds delicious!! ), but I have used my IP a lot in the last 2yrs and that sounds like a long time. Hi, Keith! Yes, that’s the correct amount of time. You could definitely cook it for as short as 90 minutes, but I find that it tastes best the longer it cooks! ?? ?this is exactly how I make it only I’m still in the stone age and cook it in a crock pot (or a 250° oven overnight.) Delicious but no true replacement for real crusty italian bread to eat it on…. ? Thanks. yesss! Such a delicious comfort meal! thanks so much for your comment, Walt! !